Tomorrow, May 29th, my wife Irene and I will celebrate nine years of marriage. One afternoon, about ten years ago, we hiked to this beautiful mountain cove with a stunning view of a waterfall. Irene painted and I wrote several poems. 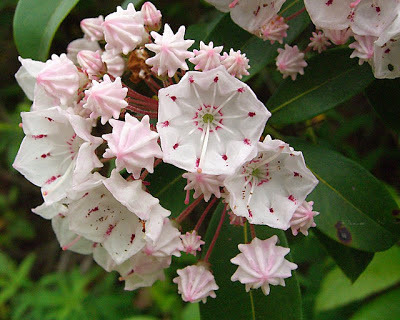 This is one of those poems about our love that the Mountain Laurel witnessed that day, before we knew. Reaching deeply to love’s refreshing waters deep. 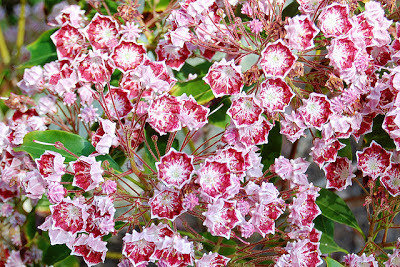 and now the Mountain Laurel knows. 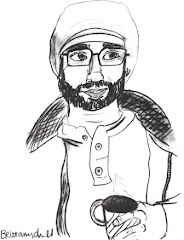 This poem was submitted to Open Link Night at dVerse Poets on Tuesday, May 28, 2013. To see more poems submitted to Open Link Night, please visit the site here. The links will be live at 2 p.m. Central time on Tuesday. Check “Mr. Linky” for thisweek’s poems. Beautiful tribute to Love, and happy anniversary. Isn't it great those places of memory that you connect to love, and what a keepsake to have both paintings and poetry. Wishing you many more years together. May they keep you rooted. How lovely that you shared your gifts of painting and poetry in this way. That's just beautiful! Happy Anniversary!